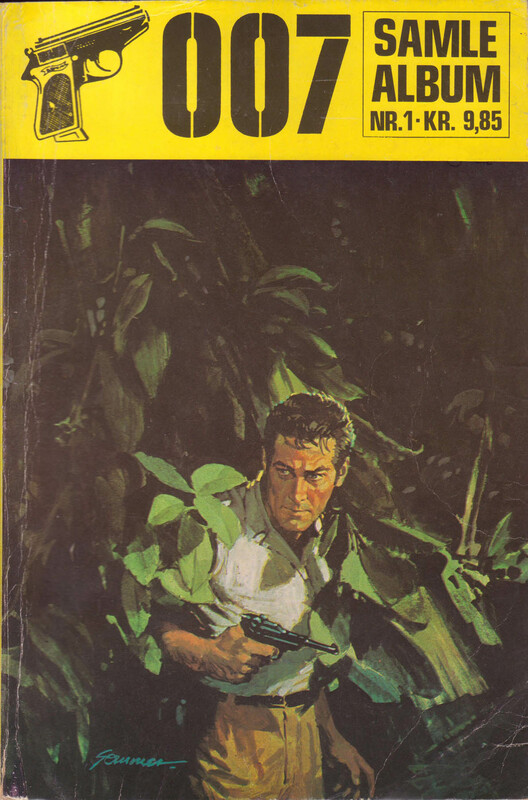 "The purpose of the collection was merely to re-distribute the unsold issues that the retail sellers returned to the publisher. This was common practice for several magazines, and the issues were simply bound together out of order and distributed in this form by either Interpresse or wholesale dealers who redistributed comic books and crossword magazines to gas station kiosks. One of these was "Sortsø Forlagsservice", a sideline business for the crossword puzzle publisher "Deres forlag". This was also known as a "propaganda offer" as stated on some of the covers. 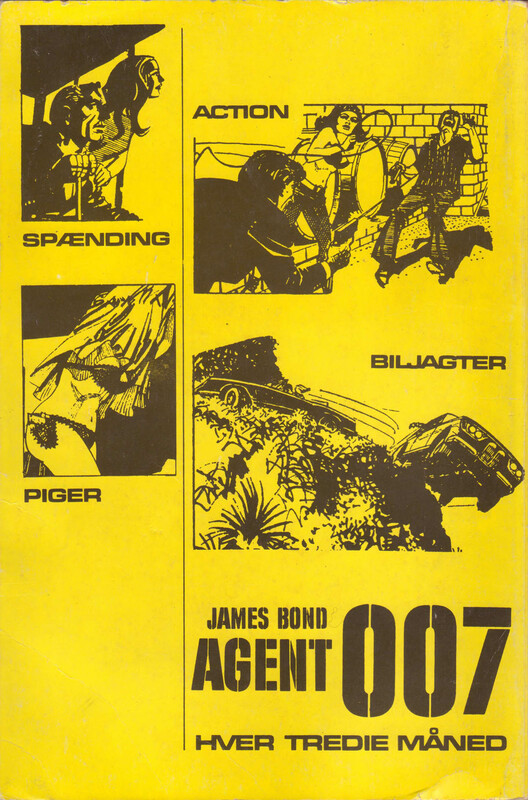 I don't recall if we did more than one of these collections of "James Bond Agent 007"." "The style is unmistakably Spanish. Almost all of our cover artwork was licensed from Spanish agencies such as Bardon Art and Selecciones Ilustradas. The artist were never named or credited. This image was probably chosen because someone thought that the character looked just a tiny bit Bond-like." "007 James Bond strengt fortroligt" (1981): Marvel's adaptation of "For Your Eyes Only"